Improving Contact Center Operations: Happiness All Around to a "T"
Ideas for a well-run customer service operation. With year-end approaching, you probably have don’t have much time or patience for a third-party outsourcer telling you how to “transform” your call center operations. Right? I get it, having run brick-and-mortar call centers and virtual contact center services. I can, however, offer some ideas about rethinking parts of your operations and improving performance year-round—without using the T-word. Fostering a caring culture to recruit, retain skilled agents and attract, keep clients. Using degreed educators for onboarding to immerse agents in a client’s business. Planning for the long term, treating agents as investments—not as recurring expenses. Experts agree. Empathy for workers, clients and their customers matters. First, it affects business optics, as in: Does anyone at your company really care? Second, this perception impacts economics—or “empa-nomics,” the dollars and sense behind how you make someone feel. Because people work for, and do business with, people they relate to and like. And there’s no better gauge to assess it than a caring contact center culture. Because happy workers = happy clients and pleased customers. They all interconnect. Ah, but for service organizations, herein lies a problem—keeping workers. IBM Watson reports “the overall turnover rate for the call center industry is between 30% to 45%, and each individual turnover can cost a company upward of $6,440.” Multiply that turnover times hundreds or thousands of agent hires. The sad truth is, with revolving-door agents, service consistency—read that quality—suffers. That lowers customer satisfaction. Drives away repeat business. Harms the brand. I’d even submit such high attrition, while normal industrywide, is no longer sustainable. Here’s why: With record low unemployment of 3.7%, no contact center can afford such wholesale losses. To that point: How’s your search for seasonal help going for the holidays? Tougher than usual, I’d suspect. Add to that, employees and contractors don’t hesitate to evaluate companies on jobsites, such as Glassdoor. Do you know your CEO’s approval rating—or the percentage of workers who would recommend your company to a friend? You should. Because job applicants check. So do prospective clients sizing up your reputation. If you don’t know, best click Company Reviews to find out. To earn a client’s business, a service provider first has to learn it. That takes ongoing investment—from recruiting smart agents to continuing their education in a client’s operations. It’s an ever-evolving process, recalibrating the return on investment (ROI)—or put another way, the return on intelligence, artificial and agent—to stay sharp and current. For sure, it requires balancing the benefits of service automation vs. actual human interaction. And yes, more customers now rely on, or even prefer, self-service—up to 70%, according to some reports. As any contact center leader knows, though, knowledgeable agents pick up where customer self-service leaves off—say, for that last 30%. Handling unforeseen situations and ones where there’s no app yet. Expected then is a smooth hand-off from artificial intelligence to intelligent agents, well-versed in products, services and problem-solving. Because once there, frustrated or infuriated customers want more than rote responses. No bots about it. Rather, they look for agents to be the ultimate resource, with workarounds and surefire solutions. To elevate service, providers need to invest in their educational infrastructure for agents. Think of them as talent to keep, not temps to replace. Best practice here calls for using degreed educators, skilled in interactive instruction, based on actual customer scenarios. As professional teachers, they use the virtual classroom, gamification and role-playing to make lessons stick. These educators know how to immerse agents in a client’s business and brand—and keep them engaged. Customers will appreciate the extra effort, catering to their personas and desires. But give them anything less, and they won’t be shy about sharing their disappointment on social media and elsewhere. Record U.S. unemployment at 3.7% in September—a 49-year low. Agent attrition cost of up to $6,440—at a 30% to 45% turnover rate. Granted, good help is always hard to find. Attracting and keeping talent just got harder with service skills in high demand as free-range workers pick and choose, with no tolerance for subpar workplaces. To reduce attrition, more careful screening of applicants might be in order. Even with fewer candidates out there, service providers still need to be selective. 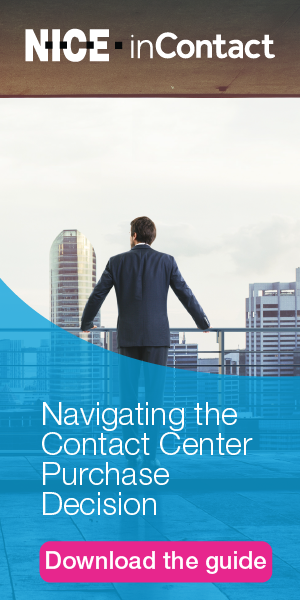 So, contact centers could refine requirements to align job seekers’ expectations with the actual work to be done. Better for agents, and the business, to know upfront than to quit later. Once onboard, incentives for great performance keep the best workers. And why not browse worker comments on Glassdoor for insight? Do due diligence to discern the difference between a company with a 2.1 rating versus one with a 4.3 score out of 5. Yeah, part of it might be about pay, but it’s more about paying attention to workers’ wants and needs. In a word, empathy.